Key difference: A cooperative is a group of people who come together and voluntarily cooperate for their mutual, social, economic, and cultural benefit. A corporation is a separate legal entity, which is owned by shareholders. It has legal rights and liabilities, and may work for profit or not for profit. 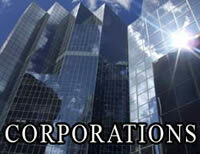 A corporation and a cooperative are both entities formed with the intention of doing business. However, they have very different structures. First and foremost, a cooperative is a non-profit, as in it doesn’t keep any of the profits for itself. It distributes all of the profit among its members. It might not even make any profit at all, and instead just provide benefits and services to its members. A corporation, on the other hand, is a separate legal entity, which is owned by shareholders. It has legal rights and liabilities, and may work for profit or not for profit. It is usually created with the intention of making profit. The profit is first reinvested in the corporation and then among the stockholders in the form of dividends, as decided by the president of the corporation. The corporation is a separate legal entity, and the blame does not fall on the stockholders, but on the corporation itself and possibly on the board of directors. A cooperative is a group of people who come together and voluntarily cooperate for their mutual, social, economic, and cultural benefit. It is operated for the benefit of those using the cooperative’s services. In a cooperative, every customer is a member and every member is a part owner. Cooperatives share internationally agreed principles and act together to build a better world through co-operation. The cooperative aims to meet the common needs and aspirations of its members, by sharing ownership and making decisions democratically. 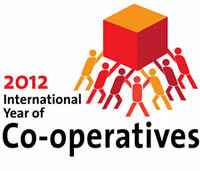 The cooperative is owned and operated by the group of members who all share equal responsibility, duties and profit. All the decisions are taken democratically, by one vote per member. Leaders, such as Chairman, Secretary, or Treasurer may be appointed from the members by popular vote. One can say that the cooperatives are analogous to socialism, as they work for the mutual and beneficial good, whereas, corporations are analogous to capitalism, where they only work for profit and gain. A legal entity which is separate from its owners. An association of persons who voluntarily cooperate for their mutual, social, economic, and cultural benefit. Members (including customers, employees or residents) No member may but the share of another. Formed under operational state laws with Articles of Incorporation. Formed by group of people acting together to meet the common needs and aspirations of its members. Should be registered. Members of a corporation have to act in accordance with the corporation's charter. More structured, less flexible. Easier to transfer ownership of part of a corporation. By sale of financial instruments like stocks and bonds. The stockholders are not held responsible in case of a fault, the corporation is. Based on cooperative structure as decided by regional cooperative law. May be unincorporated associations or business corporations such as limited liability companies or partnerships. Member approval by equal voting. Well vat bout Co operation? I didn't cm for Co operatives. Hmmm it really cool and straight forward and easy 2 understand.